A car accident can seriously disrupt your life, leaving you feeling out of control. Pain, doctor’s appointments, and missed time from work can disrupt your life and leave you wondering where to turn. 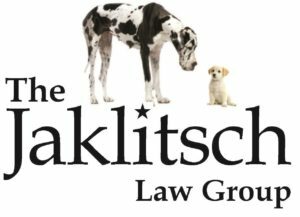 The Jaklitsch Law Group is here to help you navigate through the legal process. Our experienced auto accident attorney in Odenton, MD can fight to get you compensation for your injuries. Our personal, client-focused approach sets us apart from every other car accident attorney in the area. Our approach is different from that of any other car or truck accident lawyer. We treat our clients like family—not like a number or a paycheck. We understand what you’re going through and want your experience to be as comfortable as possible. Plus, we are willing to take your case as far as we need to in order to get you the best outcome. Focus on recovering, and let us handle the rest. Call us to get in touch with an accident or wrongful death attorney and to schedule a FREE consultation.